There was some good news today for Martha in the trial with Macy’s. First, it may be useful to back up a bit: The case is actually made up of several different claims, including breach of contract, breach of confidentiality, unfair competition, and tortious interference. In some claims, Macy’s has won injunctions, which are essentially temporary smaller rulings in Macy’s favor while the larger issues are resolved permanently in the courtroom. For example, in one injunction, the judge ruled that Martha may NOT sell items in JC Penney stores until the issue of exclusivity has been resolved completely. Macy’s asked the judge to broaden that existing injunction to include items that were designed by MSLO designers but did NOT have Martha’s name on them. These items are instead branded as “jcp Everyday”. Martha insists that these items–$100 million worth of them are already at distribution centers awaiting shipment to JC Penney stores–do NOT violate the exclusivity clause of her contract with Macy’s. Good News: Today, the judge sided with Martha, so these “jcp Everyday” items will begin appearing in JC Penney stores very soon! However, the judge ruled that the trial would continue on to the next phase. You see, up to this point, Macy’s has been doing all the talking, as they present their case that MSLO violated the exclusivity clause of their contract. Today, the judge took into account all that Macy’s has presented thus far and agreed that may in fact be true. That’s the bad news. The good news is that the trial now shifts to a new phase; one in which MSLO gets to present THEIR side of the story to counter Macy’s claim. 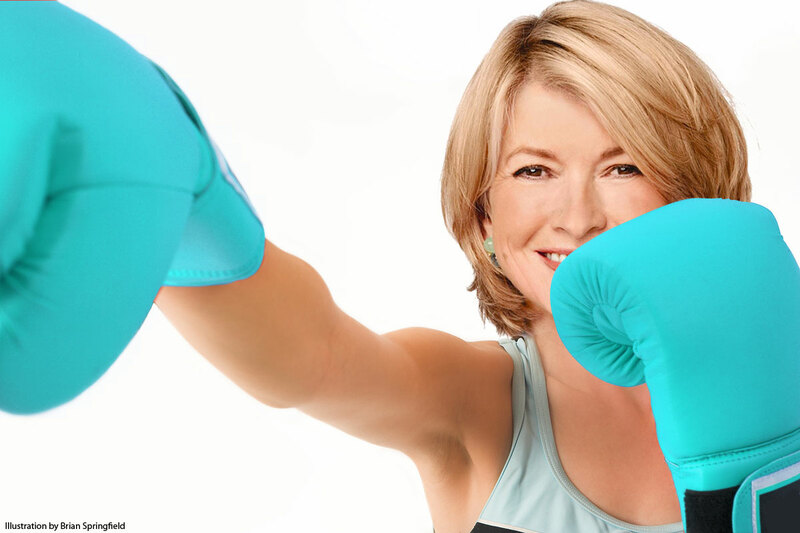 Go get ’em, Team Martha! It is important to note that the judge in this case is still imploring the three parties involved to reach a settlement among themselves, without a judge’s ruling. Contract disputes such as this one are not entirely uncommon, and are often resolved with a financial settlement. In this case, JC Penney and MSLO could buy-out Macy’s contract (or just the exclusivity clause of the contract) although that seems unlikely, given the degree to which Macy’s seems to rely on the Martha Stewart Collection to generate traffic in its stores. By allowing the trial to go forward, and relying on the judge’s ruling, either party risks losing entirely. If you have been following MSLO lately, you would not be blamed for worrying about the current state of the company–the stock price has plummeted and stabilized at the low end, the company is heavily vested in traditional media (which is undergoing much tumult industry-wide) and has suffered layoffs, it has all but lost its television presence, and there is unsettled leadership (former CEO Lisa Gersh stepped down after only five months at the helm). The one fiscal bright spot at the company of late has been its merchandising. Simply, Martha is still seen in the eyes of the public as an arbiter of good taste and high quality, and most importantly, consumers trust her. If Martha says it’s a good thing–you can be sure it’s a good thing. The judge ordered the three companies into mediation on Friday, in an attempt to have them resolve the issues themselves without a court-ordered judgement. So, even as the courtroom drama continues, one thing is for certain: the Martha Stewart brand is still as strong as ever in the eyes of consumers. And that is most definitely a good thing for MSLO. It is easy to forget that Ms. Stewart altered the way that people live by decoupling class and taste. Part of the reason that she seems embattled — her media empire is shrinking fast — is that she won her corner of the culture war. When you go into Target or Walmart and see a sage green towel that is soft to the touch, it may not carry her brand, but it reflects her hand. Her tasteful touch — in colors, in cooking, in bedding — is now ubiquitous; she just doesn’t get to cash all the checks anymore. After only 5 months in the CEO position at MSLO, Lisa Gersh is stepping down. Gersh joined the company in June 2011 as president and COO but was named CEO in July. Before joining Martha Stewart Living, Gersh co-founded Oxygen Media LLC where she was president and COO from 1998 until 2007 when it was acquired by NBC Universal. 1. Gersh’s television background doesn’t really fit with MSLO since Martha’s cable TV show was cancelled by Hallmark. 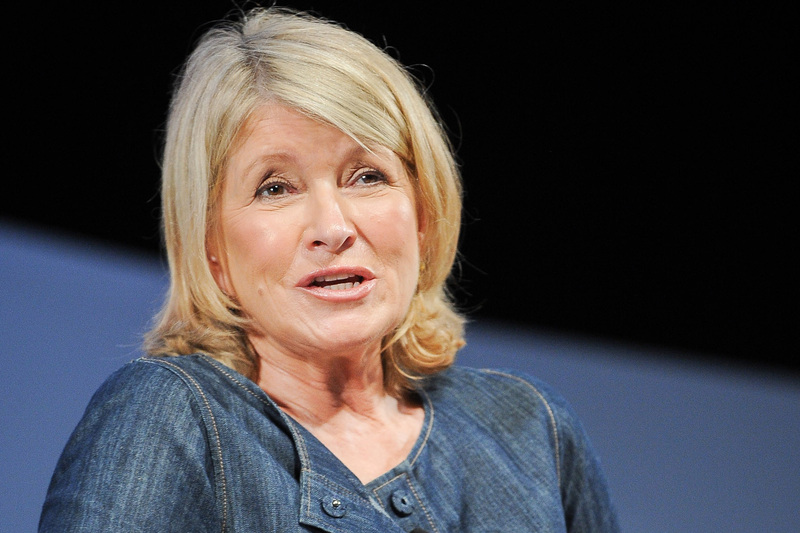 Now, Martha’s only regular television presence is on PBS, where she hosts “Martha Stewart’s Cooking School”. Of course, being a commercial-free channel doesn’t exactly make PBS the best place to promote Martha’s own products and those of her sponsors. 2. Word on the street is that there was tension between Gersh, an experienced media executive, and Martha herself. Uh-oh. Wall Street was not happy with the news of Gersh’s departure: Shares of MSLO fell as much as 9.7% in early trading after the news surfaced. FOMs: Whew! With all the changes that occurred in 2013, MSLO is positioned to have a stellar 2013. There are lots of new projects on their way: a new vegetarian EDF cookbook in January, resolution of the Macy’s lawsuit in January, the new store-within-a-store at J.C. Penney in March, Martha’s “Living the Good Long Life” book in May. Full speed ahead! Martha Stewart Living Omnimedia Inc. (MSO), the company founded by home-decor guru Martha Stewart, said Chief Executive Officer Lisa Gersh will step down, part of an effort to bolster its merchandising business. After sluggish advertising sales in its media business contributed to four straight years of losses and declining revenue, Martha Stewart Living is focusing more on selling merchandise through retailers. The company entered an agreement in late 2011 with J.C. Penney Co., a deal that will start boosting revenue by early 2013, according to the statement. “We are now increasing our capabilities in merchandising and plan to take full advantage of that opportunity for the benefit of our shareholders,” Stewart, who serves as non- executive chairman, said in the statement.